One of our favorite tours in the Caribbean, the CariBeans Chocolate Forest Experience will leave your sweet tooth satisfied and your heart full. Your tour will start at the CariBeans Chocolate Tasting Lounge. Then, we’ll embark on a hike through the cacao forest! 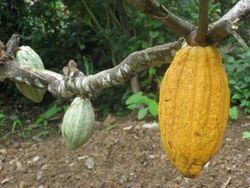 You’ll see the cacao tree restoration project and learn the history of cacao and chocolate. You might also catch a glimpse of dart frogs, sloths, monkeys, toucans, parrots etc. CariBeans shows their guests how they harvest, ferment and dry the cacao to add value to the raw pod. They demonstrate how different their chocolate making process is compared to the industrial side of the industry. In fact, they have a generous trade philosophy and community improvement vision. Why is their chocolate so special? They are a micro batch single origin/source chocolate maker. They make fine chocolate from their own trees! 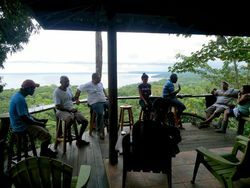 The tour leads you to a stunning ocean view rancho where you will do a chocolate tasting -much like a wine tasting. First you’ll try the traditional Aztec chocolate drink, then finish the tasting with a buffet. During this portion, you’ll mix fresh herbs and spices with chocolate to combine an endless array of flavors. Last but not least you will hike down to the Chocolate Creation Lab to get hands on and learn the bean to bar process. 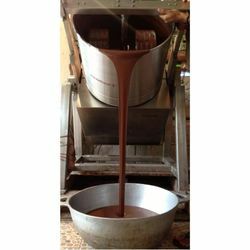 Smell the aromas and taste the transformation from raw cocoa bean to fine tempered chocolate!